Condominium rental unit #204 accommodates up to 7 people with a king size bed in master bedroom, both a queen and twin size bed in guest bedroom plus a sofa sleeper in living room. This unit has tile floors throughout, new furniture, flat screen TVs, (all with DVD players) in the living room and both bedrooms, new mattresses, linens, dishes and miscellaneous other furnishings. Great beach unit! Enjoy the beauty of Destin`s beach from your private balcony. The pool, tennis courts and complimentary beach chairs are just steps away. Make your reservations today and enjoy FREE Xplorie excursions to enhance your vacation. The unit was clean and as advertised. The A/C worked great, the kitchen was stocked with appropriate needs. The pool, outdoor space and beach access was clean and convenient. Having the beach service was a plus! The cable tv in the 2nd bedroom did not work, but otherwise, everything was great! Thank you for taking the time to share your experience. We hope you will consider visiting with us again. At first the maze to get to apartment was a work out. For seven people it was a cramped space WITH very low ceilings. Laundry should be established on every floor and elevators and hallways spruced up. The staff, location, price was great. 204A was updated but mattresses and beds need replacement. I asked if place had dishes and blender which was stated no so I brought dishes and blender and fount out this apartment has them. Need more coffee mugs, spoons and Keruig coffee maker. We had a great time, did not see any fireworks on Thursday night which is advertised. Overall would stay again with less people. Thank you owner for renting your home. a guest from Redgranite, WI does not recommend this vacation rental. Our second year at here and we again had a wonderful time. Great place to escape the snow. We love the friendships we have with others here, always something to do or places to see. Great area, beautiful facility and wonderful staff. Counting the days until we return next year. Glad to hear you enjoyed your stay. See you next time. We had a great trip. Love the beach area in front of Condos. Our unit was super nice. Wish it would have been a little better stocked in the kitchen , but not that big of a deal. We’ll be back next year. I loved it. It's like a little condo rather than a motel room and it was only on the second floor so easy to get to. Pretty much had everything me and my wife needed. We have stayed at this location for probably 15 years . Very nice , beautiful beach , clean , , close to everything , would definitely recommend . We had a wonderful time. We have been coming to this complete for 30 years. As always it was quiet and restful. 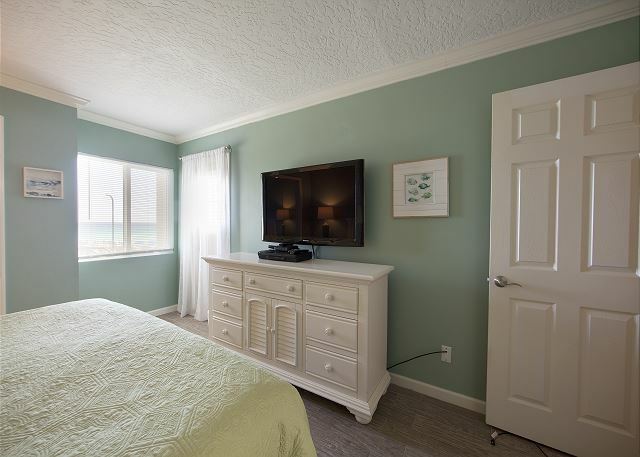 We appreciated the interior design of the condo with nice finishes like ceramic wood-look tile, updated kitchen with granite countertop, and beach-y theme. 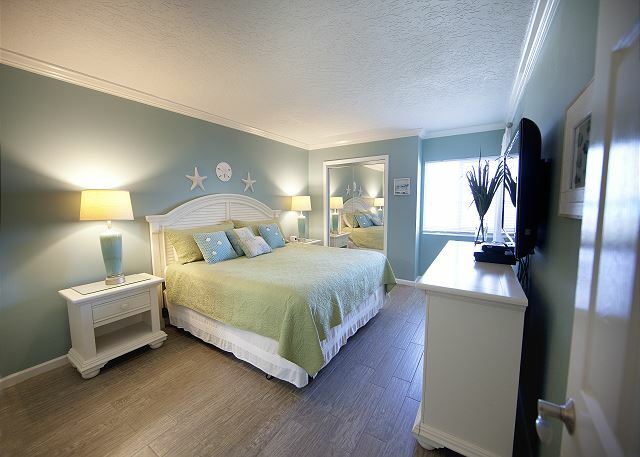 There is good access to the beach and overall, the unit is convenient to local restaurants. The only negative about our visit is that a realtor came into our condo unannounced (didn't even knock) to show the property because it's up for sale. Because we spent so much to rent the unit, we were upset that people were walking in arbitrarily making us feel like we didn't have complete privacy and wondering about our belongings when we weren't in the condo ourselves. 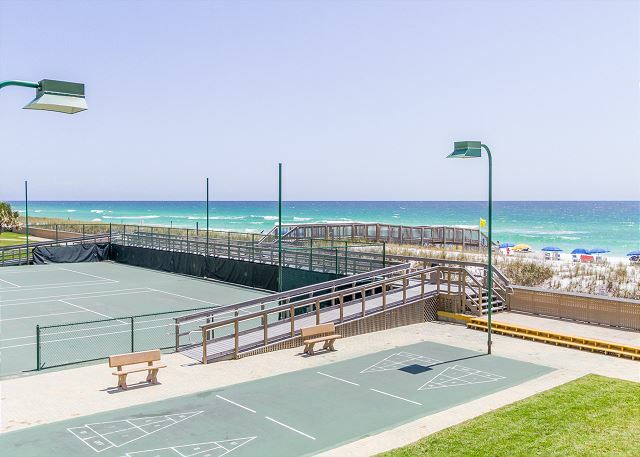 We love the Holiday Surf and Racquet Club and have stay here on several other trips to Destin. 204 was very nice, clean and comfortable!